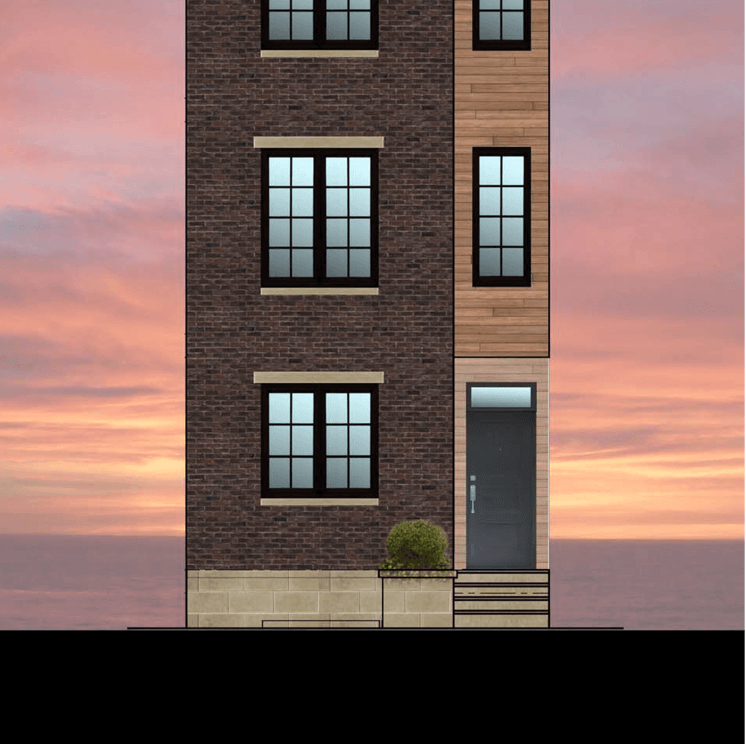 Design for a custom single family rowhome in Philadelphia PA. The plan features 3-4 bedrooms and 3 baths, including en-suite, with plenty of open living space on the ground floor, including a sunken living room with 11’ high ceilings. To top it off, the home features a roof deck with skyline views. The transitional façade design uses an industrial looking variegated brick, paying tribute to the masonry of the various warehouses that used to be in the surrounding area. Mixed with wood panel accents, the home was designed to be an updated take of the industrial rowhome; to fit in with the architype of the surrounding context, whilst taking inspiration of from what used to be.